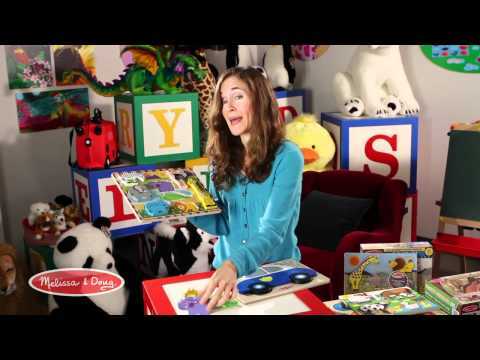 Have fun taking a trip back in time with Melissa & Doug's Dinosaurs Chunky Puzzle for toddlers and preschoolers! Welcome to a prehistoric puzzle adventure! 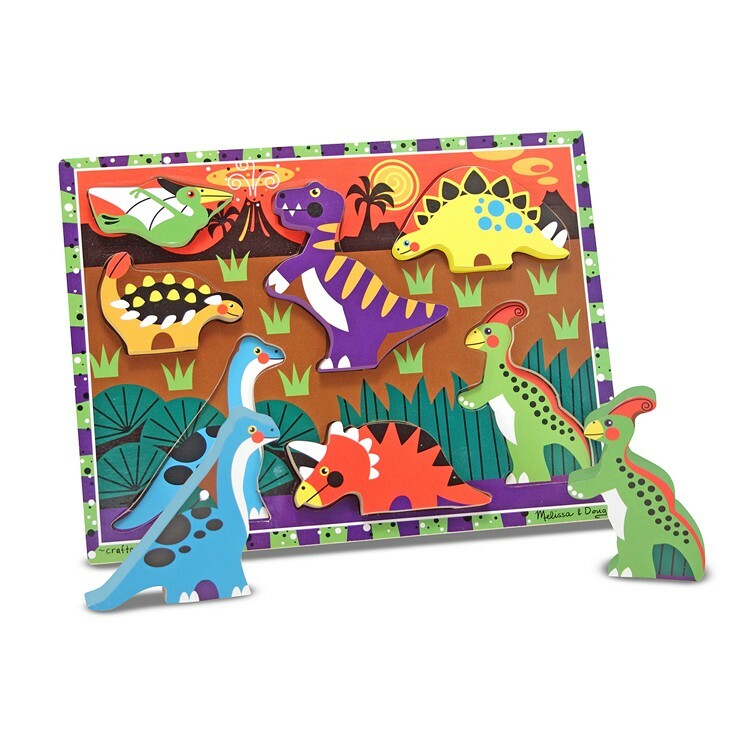 Melissa & Doug's Dinosaurs Chunky Wooden Puzzle introduces your child to whimsical dinosaur friends and fun problem solving activities. 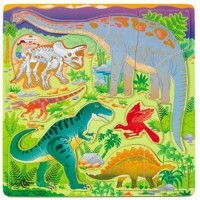 The Dinosaurs Chunky Wooden Puzzle, offered by Educational Toys Planet, features a sturdy wooden frame with 7 hand painted puzzle pieces- each concealing a full-colored dino image beneath. 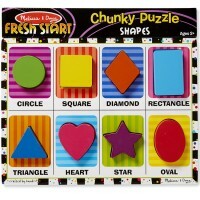 Even the youngest children and toddlers will enjoy putting each easy-to-grasp chunky puzzle piece in its correct place, developing their fine motor skills. 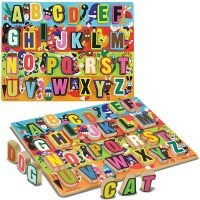 Melissa & Doug's durable Dinosaurs Chunky Wooden Puzzle pieces even stand on their own for additional creative play. Your child will love learning about different prehistoric creatures, including the T-Rex, triceratops, stegosaurus and many more. 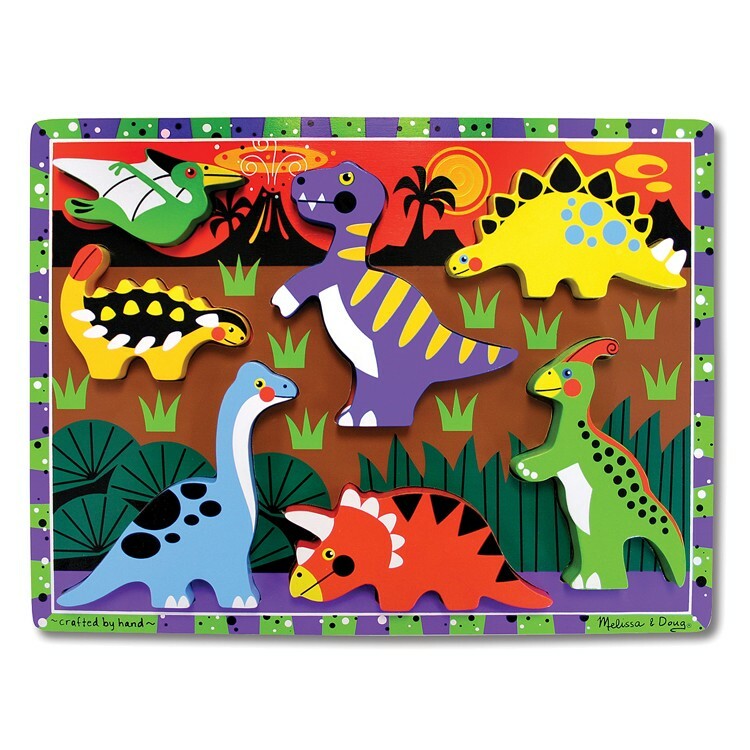 Don't be afraid to take a trip back in time with Melissa & Doug's Dinosaurs Chunky Puzzle! 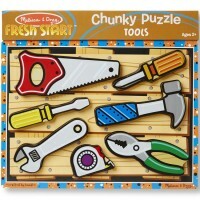 Dimensions of package 11.8" x 10.5" x 0.8"
Write your own review of Dinosaurs Chunky Wooden Puzzle. 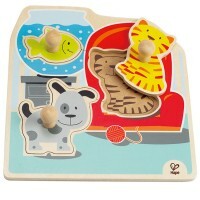 Rating: 5 Fun and educational by Jessica G This toy is a great gift for any kid who loves dinosaurs. 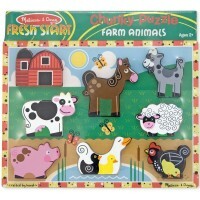 Many children are absolutely fascinated by prehistoric life and this puzzle will engage them and get them interested. 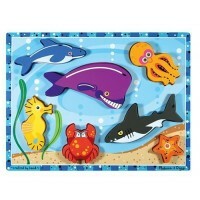 This puzzle will help with fine and gross motor skills as well as spatial skills and reasoning. 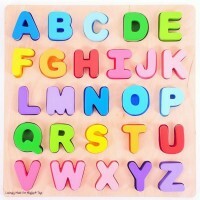 You can also practice colors and counting with your child while playing and putting it together.